It's done. It's at the printers. Now it's just a matter of waiting for the printed proof to come in, making any final changes as needed, and then it will be time to let 'er rip. As you can see from the above card (which is the second alternate for "The Lady") some of the names and concepts changed in the final cards from what I previously announced below. Eh, it happens. All of the cards and card backs are now posted on the product page, which you can access from the menu on the left. Tentative price for the Standard 36-card edition is $29.99; tentative price for the Expended 54-card edition is $34.99. Are we done here? NFW!!! 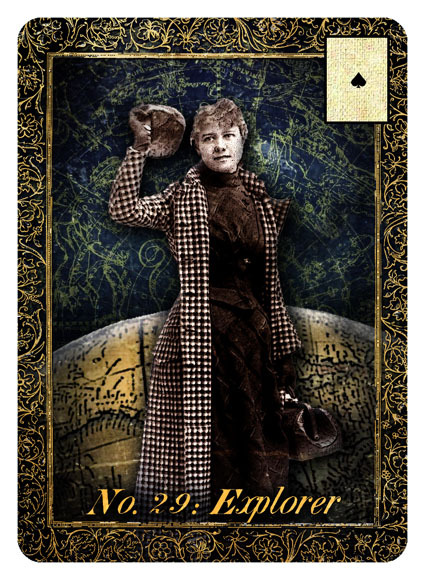 Tomorrow I resume work on the SECOND "Mystery Deck" project, Mme. Loviise's Scorned Oracle. Stay tuned, we're only just getting started. 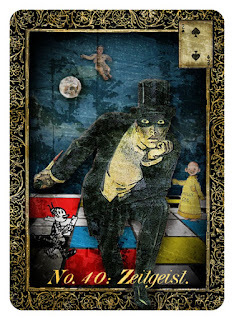 And don't forget to check out the full line of available decks at www.tarotbyducksoup.com . 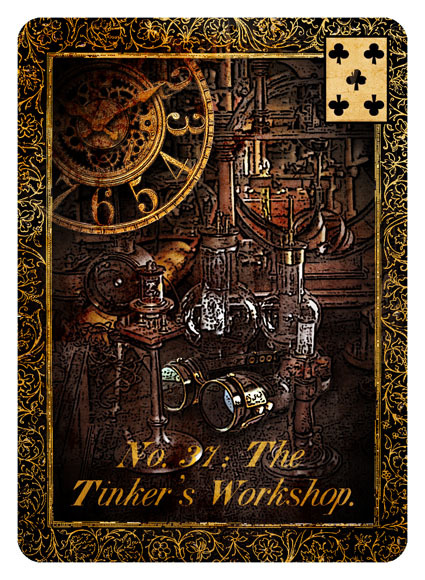 Thanks for following me in my Tinker's journey! 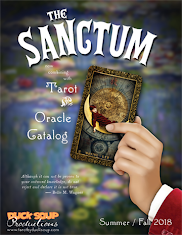 Tinker's Damn Tarot & Mantegna - NEW REVISED EDITIONS! 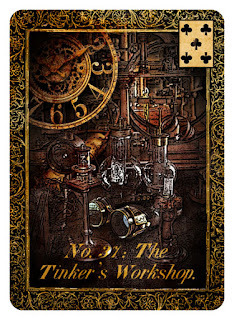 Tinker's Damn Lenormand is Now Available! "The Mystery Decks" and all original content ™ & © 2015 Duck Soup Productions, all rights reserved. Picture Window theme. Powered by Blogger.